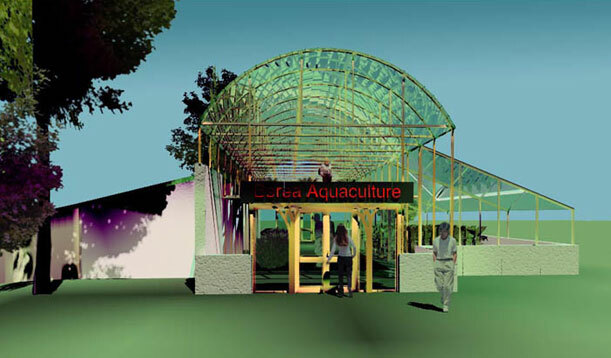 A new bioshelter facility providing an environment for student design and construction of aquaculture, greenhouse and other year round agriculture activities. 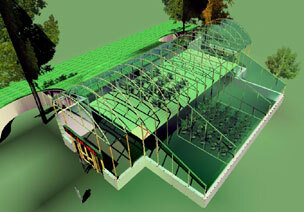 Construction uses off the shelf commercial greenhouse components, coupled with an energy efficient earth bermed concrete bunker from rigid foam forming system. 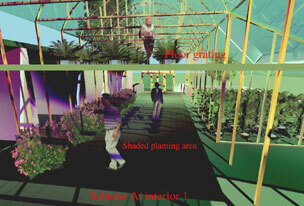 An upper walkway with metal grating provides a shaded growing area below. Year round heating will be primarily passive and active solar with a large thermal mass of water and gravel for storage.